can keep your asphalt driveway, parking lot, or pedestrian plaza problem free. 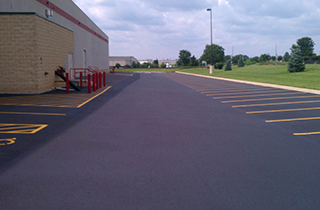 Sealcoating will add to the attractiveness of almost any asphalt pavement. 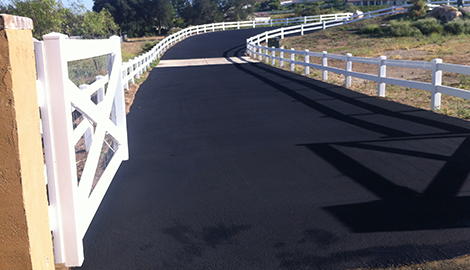 It also protects the asphalt from the effects of oxidation and chemical spills. The primary types of maintenance we perform are crack sealing, patching, and sealcoating. Get in touch with us today, tell us of your needs, let us give you an estimate, and if you are in agreement, we will get to work! No job is too big or too small for Outdoor Specialties to take on and finish on time within budget. 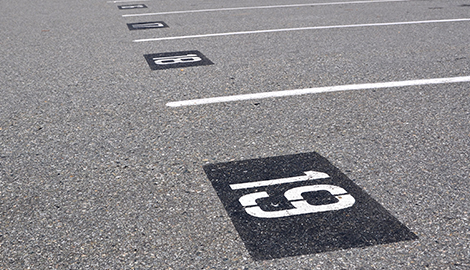 Outdoor Specialties is the place to call when the stall lines in your parking lot are nearly invisible. They pave it, we save it. 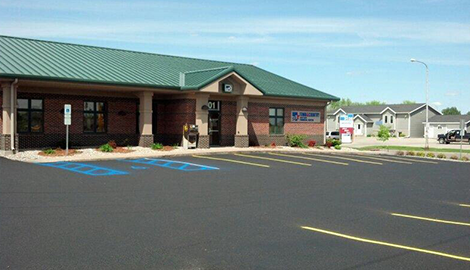 Outdoor Specialties is your premier service provider in and around Brainerd, MN for all your asphalt maintenance needs. Our specialties include sealcoating, a process we recommend be done every few years to keep asphalt pavement from deteriorating. We also fill in cracks and repair holes or other damaged areas to keep damage from growing. Take the time to inspect your driveway, parking area, or parking lot today. If you see noticeable cracks, you should have them taken care of soon. They are not going to repair themselves, and water or chemicals seeping into them will only lead to bigger problems later on. 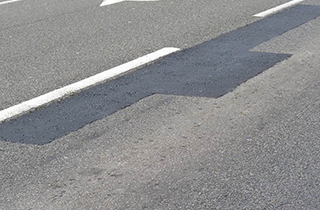 The maintenance services we provide are far less expensive than are major repairs, resurfacing, or replacement of pavement. No project is too large or too small for us. If you need sealcoating applied to your driveway, we are not going to show up with enough workers and equipment to pave the parking area in a shopping mall. We will send over only what it takes to complete the job quickly and professionally. 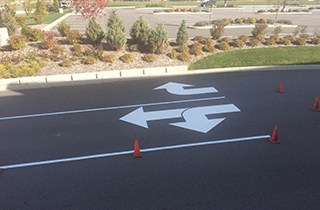 When commercial property is involved, such as a supermarket parking lot, we do line painting as well, whether it involves a repaint or a new layout. Outdoor Specialties also works with property managers in the Brainerd, MN area to assist them in keeping asphalt surfaces clean and well maintained. The same applies to sports courts, which we surface and line paint. We even provide lawn care. The saying “an ounce of prevention” is an apt one for the type of work we do. If you are thinking it is time for your driveway or parking lot to receive some tender, loving care, call us for free estimates. You will be glad you did!